Valerian: Known for its relaxing and soothing qualities, Valerian is a nervine that calms stressed nerves by relaxation and helps the recovery of stimulated nervous systems. Hops: Hops bring calm and rest to the nervous system. Its sedative qualities result in a truly deep and restful sleep. Relax Formula Herbal blend vaporizer cartridge is a sedating blend of kava kava, valerian and hops which can be used to help fall asleep, to calm anxiety and nerves and to calm emotional states. It’s easy to keep it on your nightstand and use it should you wake up in the middle of the night and want to fall back asleep. 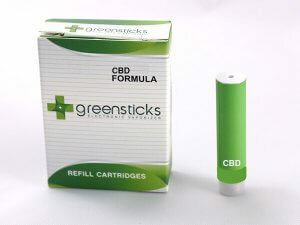 This is particularly useful when you combine with the CBD Cartridge. It’s beneficial for any time you feel a heightened emotional state, anxiety, stress or nervous episodes. Use it anytime to bring true relaxation to the nervous system. They’re great after a Festival when it’s time to get some rest, during travel or any time you want to wind down.